Enter, process and store all of your documents, manage your digital workflows and automated business processes flexibly – on any platform, in 22 languages and 100% accessible. Collaborating with your business partners and colleagues as well as sharing documents with them takes place in the “Teamrooms”. These are online working areas fulfilling the highest security requirements. With the Fabasoft Private Cloud your sensitive data together with your valuable know-how remain protected within your organisation, and you alone decide on authorisation management. Fabasoft has successfully completed the “EuroCloud Star Audit”. Fabasoft is the first company in the world to receive five stars for its Cloud services, the highest possible certification by the international “EuroCloud Star Audit” (ECSA V3.0). On top Fabasoft is one of very few companies worldwide to be certified according to the “Certified Cloud Service” certificate of the TÜV Rheinland (Cloud Security). Additional certificates are ISO/IEC 27001 (Information security) and ISO/IEC 20000-1 (IT service management). The Fabasoft Private Cloud is furthermore checked according to ISAE 3402 Type II (internal control system and efficiency of controls) by PwC. The Cloud organisation is a representation of your organisation within the Fabasoft Private Cloud. Your administrators maintain the Cloud organisation and manage the user accounts (members and external users), define deputies and organisational units (groups), etc. To share documents and collaborate with your colleagues or partners, teamrooms are used. This is where you organise the teamwork – ranging from the invitation of new members or organisational units (groups) to the administration of access rights. During login to the Fabasoft Private Cloud, authentication is always carried out via two factors, for example a text message PIN, an e-mail PIN or a security token (software or hardware token). This procedure creates a protected and trusted working environment. By optimally using the authentication based on certificates it is possible to log on to the Fabasoft Private Cloud without the need to enter a login name and password. Within the Fabasoft Private Cloud, you administer your organisation’s certificates and assign names to the user certificates (CN). Each member who has been assigned a CN and holds a certificate can then log on via the login page by using the certificate and a text message PIN, a security token or a Digital ID. The Fabasoft Private Cloud ensures that each modification of a documents is traceable at any time. The teamroom use (for administrators) and the teamroom history provide a detailed overview. The so-called time travel function (continuous versioning) allows you to quickly and elegantly view teamrooms, folders and/or documents as well as their meta data, which you can compare or recreate if necessary. Every time an object is accessed, the auditing function creates an entry in its logging system. Besides changes to the properties it also indicates when a document was read, and by whom. The graphical user interface of the Fabasoft Private Cloud is not only easy and intuitive to use, but is also designed for people with impairments. Furthermore, the Fabasoft Private Cloud is available in 22 different languages. The branding function allows you to personalise your Cloud organisation. Each teamroom can have its own branding. The Fabasoft Private Cloud allows you to work on your documents online as well as offline – on any platform and in mobile mode. This is achieved through the automatic synchronisation of the teamrooms. A teamroom is a highly secure online working area that is easy to set up and intuitive in its use, allowing its members to work together and share documents. With so-called public links you can safely grant non-registered users (for example your business partners) access to teamrooms, folders or files. Public links can optionally require a password and/or be valid for a limited time only. You can also automatically add watermarks to further protect your documents. Transfer your teamrooms from your on-premise Fabasoft Private Cloud into the Fabasoft Public Cloud to collaborate across organisations. Together with the teamroom, all folder structures and documents as well as calendars and news feeds are transferred. Once a particular collaboration has ended, you can transfer the respective teamroom back to its original location. Within a teamroom, communication is conducted via protected news feeds (private chats). There you can share information with each person authorised to use the teamroom. The notification function automatically informs each user about news within the Cloud. The information transmitted via these notifications is limited to the respective user’s degree of authorisation. In addition to the classical extension of the object model, you can also use the graphical forms editor to add additional meta data (fields) to the objects. No programming skills are required to use this editor. The Fabasoft Private Cloud is an appliance composed of preconfigured and seamlessly integrated hardware and software components. The steps required to install, configure and bring the Fabasoft Private Cloud into service are highly automated and easy to follow. 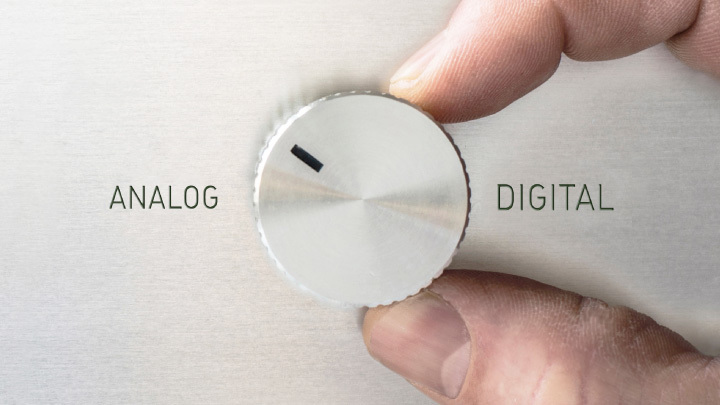 Your internal staff will thus be in a position to quickly put the appliance into operation. Working securely across different locations and countries is easy with the Cloud’s elegant and intuitive user interface. With our free-of-charge second and third level support, we ensure an ideal support for your help desk or your administrators. We always deal with your request personally, quickly and in a competent manner: no calls put endlessly on hold, no unqualified callcenter answers. 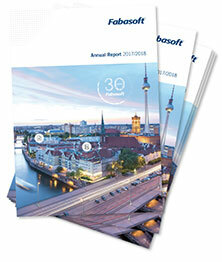 Fabasoft implements product innovations according to the principles “quality, usability and style”. Each development step is guided by the goal of achieving the highest standards of quality. New features and amendments of the existing systems are provided each month through free-of-charge updates.